Sarajishvili Brandy Made in Georgia. Sarajishvili was founded in 1884 by David Sarajishvili, who had studied Philosophy in Germany. At that time, even though Georgia was part of Russia, he wanted to develop the Georgian economy. While his specialty had been wine and cheese, he was influenced by all the spirits he had seen in Germany, and he decided to study Cognac production, and to go to France to do it. He purchased casks of Georgian oak (‘Iberica’), Limousin oak, and some Bulgarian Oak. Then he built distilleries in 3 different regions of Georgia, all with copper pot stills. With a majority of 400L. casks, he also ordered casks of over 2,000 L, and a few at 6,000 L, which today are the oldest casks in Georgia. When he is ready to create the final blends, he mixes water, glucose, fructose and caramel (for color conformity), which is stirred for 4-6 hours. 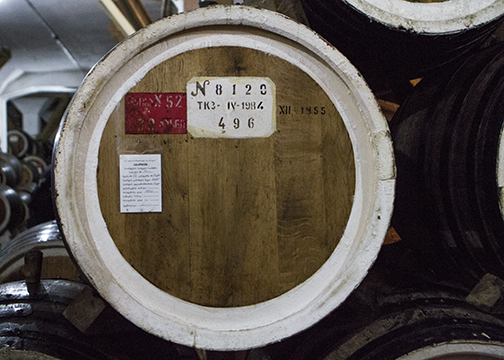 This is added to the blends before a final aging for an additional year. We tasted a 7-Year Old V.S. and a 10-Year Old V.S.O.P. which tasted a lot like Cognac. Sarajishvili also produces an X.O. and other special bottlings. 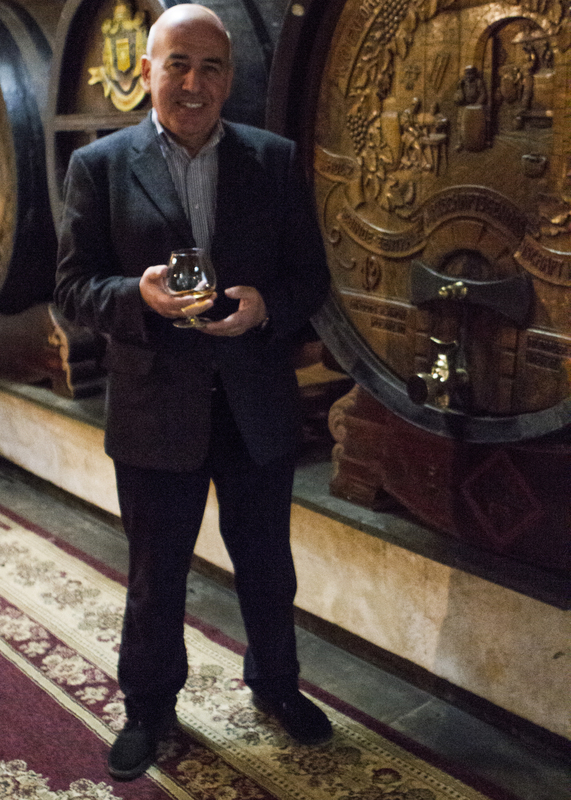 At the tasting, David Abzianidze cradled his snifter to warm it slightly, and stated his recommendations for things to go with fine brandies. He described the ‘French Ideas for Serving Cognac’ or ‘The 4 C’s’: Cognac, Chocolate, Cigars and Coffee.